Welcome to the Santa Pod Racers Club website, the website is here to make your race entries for Santa Pod Raceway as simple as possible with all of the information to hand to help make the entry process as smooth as possible. 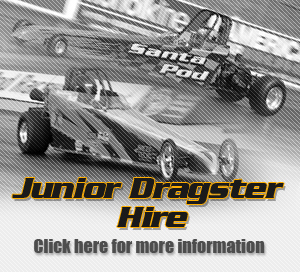 We are also here to make sure our members and racers get the best from their racing experience at Santa Pod. The SPRC are here to answer any questions you may have regarding entries from domestic or foreign entries and we will do whatever we can to help in these matters. The Club officials are also here to help with technical questions, we help orchestrate the National Tech committee and are more than happy to answer any technical questions you may have, the UK tech committee is made up of a very broad and knowledgeable group of individuals, working in all corners of both UK and European Drag Racing, from the race car and bike manufacturing industry here in the UK, to members that sit on governing body panels, run race events and many different areas of the sport, from legal to regulation and so on, the National Tech committee is also responsible for the production of the Drag Racing White book (National Drag Racing Rule Book) which covers both car and bike technical specifications, race procedures and more. The SPRC will also provide regulatory paperwork required by sanctioning bodies, for all licence upgrades, licence applications (ACU and MSA) and our race directors are available at most events for questions, observed runs and licencing requirements. We are also on the phone, email or at the track to help with new members or non-members looking to get involved with the sport whether you’re looking to start racing, or would like to be involved in Marshalling on the organisational side of the events we are all here to help make your involvement as enjoyable as possible.